Nixon was an awful president in many ways, including in some of his foreign-policy choices. But he left no doubt that foreign policy and America’s leadership in the world outside its borders was of paramount importance to him. Obama has seen to the passage of the most radical legislation in recent American history and so-called ‘progressives’ should be thanking him for it – even as many of the rest of us rear in horror from its implications. Obama is talking to voters as though he is their boss, or their principal, or their father. He is not any of those things. He is their employee. And employers don’t like it when their employees yell at them – even if their employees have it right. Obama learned from Ronald Reagan that it helps to strike an optimistic tone. But genuine optimism deriving from American exceptionalism, it turns out, does not come naturally to him. Obama lost his ability to push his agenda through Congress when he received what he himself called a ‘shellacking’ in the November 2010 elections. That shellacking was primarily the result of massive policy overreach when he had a Democratic Congress in his pocket. Obama’s claim is that he wants to give. The GOP is saying it wants to take. Obama’s coalition would have consigned him to the political margins as little as 12 years ago, but the nation’s demographic changes are moving far more quickly than most Republicans anticipated. Obama’s explanation for the slowdown in economic growth is that the public sector is hurting, and that’s where Washington must step in and act. Obama’s presidency hasn’t been dedicated to achieving economic growth in the short term, or about creating jobs. Insulting the electorate and accusing it of spiritual weakness and sinfulness are not the ways to get yourself the job of president. Is victory sweet because your side wins – or is it really because the other side loses? Let us now praise Barack Obama. Making recess appointments when the Senate isn’t in recess is neither rational nor moderate. It’s a raw misuse of executive power by a president whose love of government is his most vulnerable spot with the electorate. Memories of the last nine years have turned Ground Zero from a site of horror, to a reminder of grief, to an occasion for ludicrous artistic posturing – and now to something very close to parody. Newt Gingrich has a restless and outsized intelligence that is tragically unleavened by any kind of critical sensibility. Newt Gingrich is a very intelligent man, if he says so himself. Newt Gingrich never received more than 100,000 votes in his life. He’ll never be president. 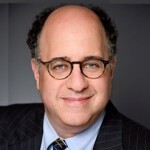 John Mordecai Podhoretz was born in New York City, New York, USA. He is an American author, columnist, editor and a former presidential speechwriter. He is the editor of Commentary magazine and a columnist for the New York Post. He received a bachelor's degree from the University of Chicago in 1982. He served as speechwriter to former U.S. President Ronald Reagan as well as former President George H.W. Bush. He has written several books include: Hell of a Ride, Bush country, and Can She Be Stopped?